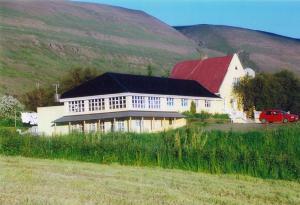 Icelandic Farm Holidays is a chain of farms around Iceland offering travellers accommodation and a variety of services. Some activities offered at farms are horseback riding, fishing, sailing, hunting, glacier tours, sheep round-up and swimming. Accommodation is in farmhouses, country hotels, seperate houses or cottages. Travellers can choose from Bed & Breakfast in rooms with shared or private facilities or sleeping-bag accommodation. Cottages are usually rented by the week. Icelandic Farm Holidays also offer guided tours and independent self-drive tours. The Iceland Tourism Board acknowledges and aproves the classification system used by the Icelandic Farmholidays Association. If you are planning to travel with kids, Iceland is your best choice, because it is one of the friendliest and safest countries worldwide. Follow icetourist.is and make it become your perfect Iceland Information Guide. In case of emergency you can always contact the Iceland Tourism Office and they will know best what to do. Whether is your first of 5th time visiting the island, Tourism Guide to Iceland will recommend you some tips about accommodation, rental cars, activities and a list of the most popular Iceland tourist destinations to visit while staying in Iceland.